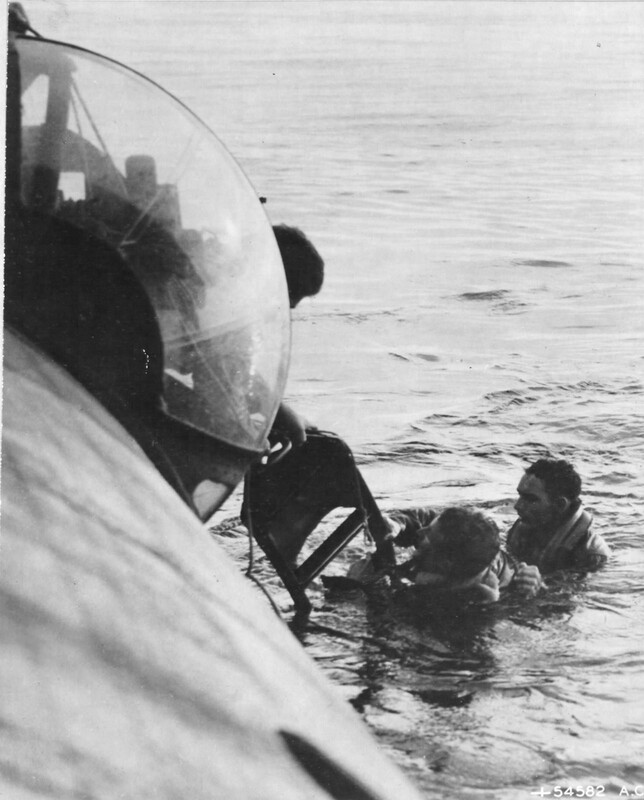 Crew of a PBY Catalina rescue Sgt James Latta and Sgt Willis Morlan out of the Adriatic after being forced to bail from their B-24H Liberator after a raid on Vienna, Austria. Crew of the USS Wasp (originally named the Oriskany and renamed in honour of CV 7 which was lost in ‘42) preparing a Mark XIII torpedo for a TBM Avenger. Amazing to think these photos were actually taken on this day. One can argue that dates by the Julian calendar (or any other) are just manufactured reference points but anniversaries are very powerful connectors, bringing us closer in some way to history, whether it’s a worldwide historical event or a simple birthday. Good stuff….thanks for the pics. Thanks, Craig. Anyone out there know why they shrouded the head of the torpedo in plywood? Probably to protect the gyros/fuses etc which had to be protected/adjusted according to target distances. Part way down on here………. Fantastic, don’t you love learning? Especially at a ‘certain’ age. Great photo that celebrates picking up at least part of the B-24 crew. That was one BIG torpedo – it likely could cause a world of hurt! Jeff, I’m absolutely sure it did cause a world of hurt.